Enter your blog URL and click "Add"
Next visit Template page on Blogger. 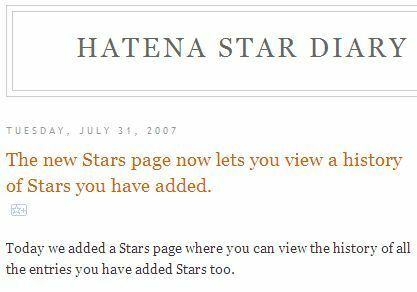 After click "SAVE TEMPLATE" you can see Hatena Star on your blog. An example Blogger site is here.